They say that absence makes the heart grow fonder. In an unexpected twist, I’ve come to respect Nightmares from the Deep: The Cursed Heart more than I originally did when I played it. Not enough time has passed to create nostalgia, but enough has passed to acknowledge that some of the features are better than I had initially considered them to be. 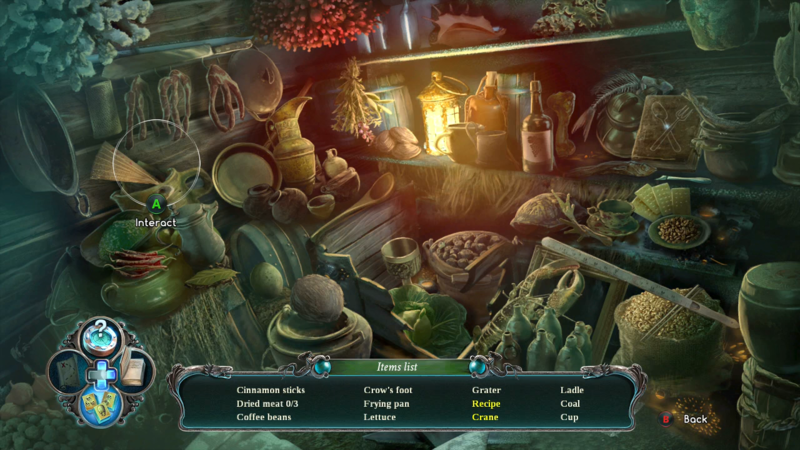 Nightmares from the Deep: The Cursed Heart is a point-and-click adventure featuring Hidden Objects or matching Mah-jong mini-games. It’s a genre that’s seen a recent resurgence, but how well does this outing stack up to its contemporaries? Help, please? 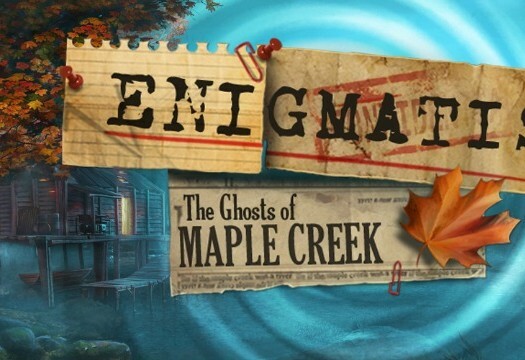 — Part of playing a game in this genre is watching the story unfold while solving puzzles. Some games forget that players aren’t always capable of solving the puzzles presented and leave no hint system and sometimes even forgo offering a way to recall the prompt presented by the puzzle. 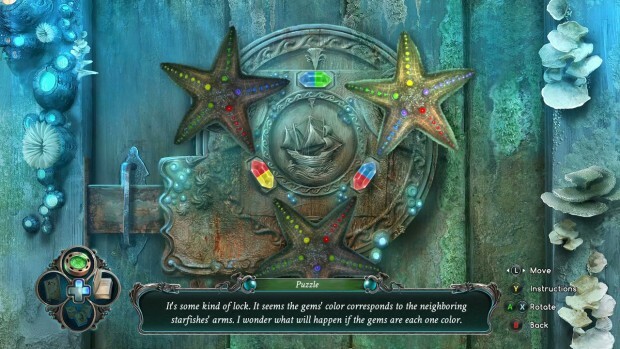 Nightmares from the Deep features a hint button and a skip button for mini-games as well as a map that shows where performable actions are available. On paper, this sounds overbearing, but in-game it works well enough to keep the action moving without spoiling the entire experience. For those who want a challenge, there is also an Expert mode that limits the benefits but leaves a hint and skip system for dire moments. The puzzles — The puzzles are kept in a nice balance; they’re not overly simple, but they’re not entirely impossible to solve, either. For those who get truly stumped, there is a skip option that helps bypass any roadblocks to keep the progression moving forward. Between the classic puzzles, finding hidden objects and matching Mah-Jong mini-games, there is a nice steady flow of interactive gameplay here. Paper thin plot — The story is what I believe to be most important in games like this, as it’s what motivates me to keep the adventure going. Sadly, I found Nightmares‘ story lacking in every way. It doesn’t have any sort of hook to bring in the audience to get emotionally invested in the plot. Also, for a game called Nightmares from the Deep, I found the protagonist’s daughter to be the scariest thing in the game. Admittedly, the game does do a good job in providing a backstory for the narrative’s perpetrator, but it should not have come at the cost of a better overarching story. This is definitely something that should have been stronger. Mah-jong? — I don’t dislike this mini-game, I wanted to dedicate some space to talking about it. Why is it in the game? It feels out-of-place and incohesive with the rest of the experience. I’m curious about what brought on this feature’s inclusion. To its credit, it does act as a nice alternative for those times when finding hidden objects starts to gets monotonous. Having an Asian heritage and grandparents that used to spend all night playing the real competitive Mahjong, the matching tiles version being called Mah-jong does not really sit well with me, but that’s not the fault of the game. The daughter scares me the most out of all the things in Nightmares. Seriously, she’s spooky. Minor jokes aside, the puzzles and content are well paced, and the game features a bonus chapter to extend the value of the title. There is a lot of gameplay available for this type of game, but it still isn’t much when compared to other genres. 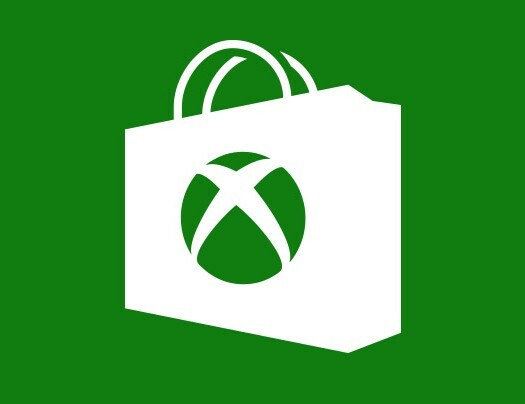 Players who go for Gamerscore may find that there is enough content to warrant the purchase, but that might not be the case for everyone else. As such, it’s tough to recommend Nightmares as an instant buy. Rather, it’s something worth trying, especially if you’re a fan of point-and-click adventure genre. Achievement notes: Nothing too difficult in the long run, but will need one playthrough on Normal and one playthrough on Expert at the least to gain all the Achievements. I’d recommend playing on Normal while doing all Hidden Object Achievements and leaving the Mah-jong minigames for Expert mode. 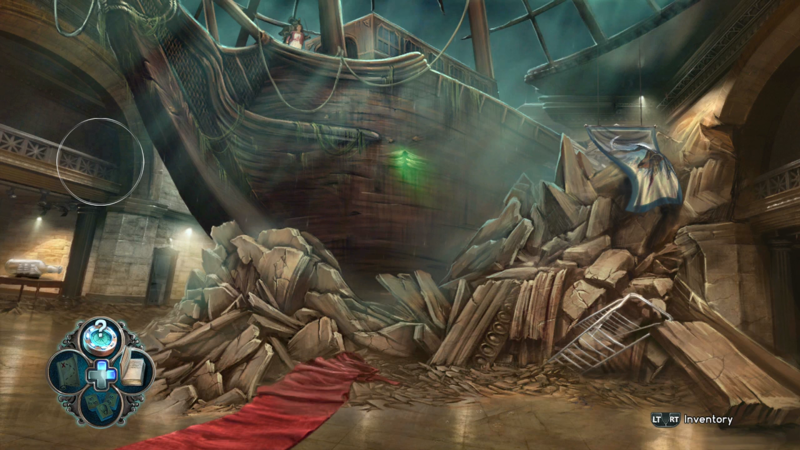 Nightmares from the Deep: The Cursed Heart was developed and published by Artifex Mundi. It was released on September 4, 2015 for $9.99. A copy was provided by Artifex Mundi for review purposes.